When I was eighteen, I fell asleep at the wheel. My dad was preaching at a church two hundred miles from the farm where we lived in Tokio, Texas. We left early enough that morning to make the three-hour drive and arrive before the hymns began. I was driving while Dad went over notes for his sermon, prayed, and took a brief nap. We both woke up at the same time, as the minivan careened right, then bounced along the wide shoulder of the straight (and mercifully empty) Texas highway. Both of us were startled. I’ve never forgotten the experience, and two decades later I’m more cautious, more wakeful, and more alert to the danger of drowsiness—especially when my family of six makes the long trek from Indiana to Texas or Georgia to visit family. I’ll do anything to stay awake: Roll down a window. Chew straws. Eat sunflower seeds. Drink absurd amounts of caffeine. Slap myself in the face. The frightening realization that my vehicle, traveling the interstate at seventy miles an hour, is only a few careless seconds away from a fatal collision makes me vigilant. As long as I’m behind the wheel, sleep is not an option. Watchfulness demands wakefulness. If the eyes are shut in slumber, they are not open for observation. You cannot be alert and asleep at the same time. When Jesus told His disciples to watch and pray with Him for one hour, He was telling them to stay awake. There is, therefore, a physical dimension to this discipline. In The Christian in Complete Armour, William Gurnall explains watching in both literal and metaphorical senses. “Watching, literally taken,” he says, “is an affection of the body . . . a voluntary denying of our bodies sleep, that we may spend either the whole or part of the night in pious exercises.” As fasting is temporary abstinence from food, so watching is temporary abstinence of sleep. This is the sense in which Paul lists “watchings” among his ministerial credentials in 2 Corinthians 6:5: “in stripes, in imprisonments, in tumults, in labours, in watchings, in fastings” (KJV). But wakefulness in Scripture is more often a picture for mental and spiritual watchfulness. Gurnall observes, “Watching is taken metaphorically for the [vigilance] or watchfulness of the soul,” and, in this sense, watching “is not a temporary duty,” but the urgent and ongoing posture of one’s life. Notice the reason for his exhortation. “Wake from sleep,” he says, “for salvation is nearer to us now than when we first believed.” Paul was writing to people who were already believers, so why did he refer to salvation as something yet to be obtained? When most of us talk about salvation, we refer to something in the past, something that has already happened to us. Sometimes the Scriptures do this too. Paul elsewhere teaches that we have already been saved by grace through faith (Eph. 2:8). But sometimes the Bible views salvation as a future event. So, here. This salvation is a deliverance we have not yet experienced, a rescue we are still waiting for. And this future salvation is nearer to us now than when we first believed. The next verse clarifies and extends the analogy: “The night is far spent, the day is at hand.” The day Paul has in mind is the day of the Lord, the final, eschatological day, the great day of salvation and judgment—salvation for the church, judgment and wrath for the unbelieving, disobedient world. Paul writes with a two-age schema in mind, viewing human history in terms of two eras, the present age and the age to come. The present age is the night, the age of darkness. The age to come is the day, the age of life and light. Believers live in the overlap of the ages. We are children of the future day, children of the light, and yet we live in the present age of darkness, the age of night. But since we are children of the light, we are to “cast off the works of darkness, and . . . put on the armor of light.” We are to throw off the nightclothes and get dressed for the dawning day. Paul also used this schema in writing to the Thessalonians when he addressed believers who knew that the day of the Lord would come like “a thief in the night” (1 Thess. 5:2). Though this day will surprise the spiritually unprepared, who vainly assure themselves of peace and security, believers will not be surprised: “But you, brethren, are not in darkness, so that this Day should overtake you as a thief. You are all sons of light and sons of the day. We are not of the night nor of darkness” (1 Thess. 5:4–5). How, then, should we live? This is the sobriety, the alertness, and the wakefulness to which we are called. As people who belong to the day, we must be mentally sober and morally alert, dressed in the Christian armor of faith, hope, and love. To be watchful is to be wakeful. My new book, Watchfulness: Recovering a Lost Spiritual Discipline is now shipping from Reformation Heritage Books. Here is a brief excerpt from the book, followed by endorsements from Don Whitney, Derek Thomas, Steve Lawson, and others. Watchfulness is needful because the heart is valuable. According to A. W. Pink, keeping the heart is “the great task which God has assigned unto each of His children.” In the words of Solomon: “Keep your heart with all diligence, for out of it spring the issues of life” (Prov. 4:23). Solomon is not talking about the blood-pumping organ in your chest, but the control center of your life. He is talking about your soul. There was reared up in the midst of this town a most famous and stately palace; for strength, it may be called a castle; for pleasantness, a paradise; for largeness, a place so copious as to contain all the world. This place, the King Shaddai intended but for himself alone, and not another with him. . . . This place Shaddai made also a garrison of, but committed the keeping of it only to the men of the town. Jesus said the soul is more valuable than the world: “What profit is it to a man if he gains the whole world, and loses his own soul? Or what will a man give in exchange for his soul?” (Matt. 16:26). He also taught that your words and deeds flow from this central part of your being: “Out of the abundance of the heart the mouth speaks” (Matt. 12:34). Who you are in your heart is who you are. 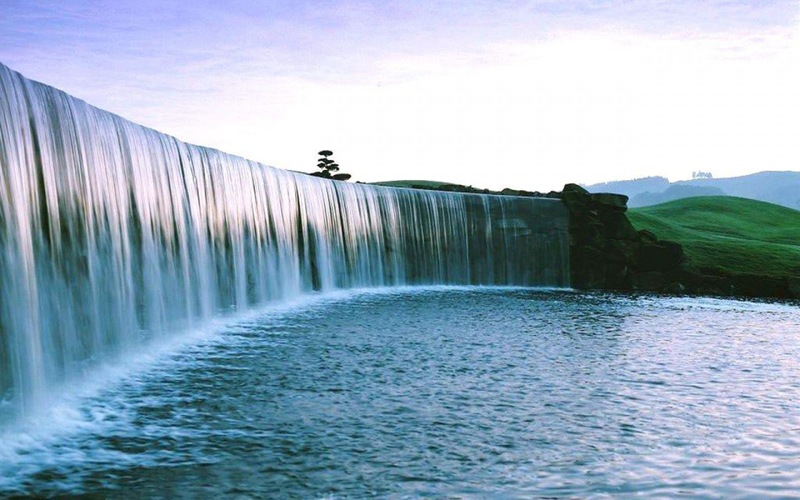 The various streams of your life flow from the fountain of your heart. If your heart is not watched, then your life will be a mess. Until purified by God’s cleansing power and changed by God’s transforming grace, our hearts are incapable of true godliness. The good news for believers is that God has, in fact, changed our hearts: “For it is the God who commanded light to shine out of darkness, who has shone in our hearts to give the light of the knowledge of the glory of God in the face of Jesus Christ” (2 Cor. 4:6). Into the darkness of our benighted minds, God brings light. Into the chaos of our inner worlds, He brings order. The Lord of new creation speaks the words of life and light to our dead, darkened souls. He cleanses our hearts through faith (Acts 15:9). But even after new birth, our hearts must be kept. They must be guarded from fleshly desires that wage a relentless guerrilla warfare against our souls (1 Peter 2:11). Sin’s dominion over us is broken, but its seditious influence remains. The heart must be watched, for “the heart hath a thousand wiles and deceits.” Sin still dwells within. In his book Soul Keeping, John Ortberg compares the soul to a beautiful, crystal-clear stream high in the Alps that strengthened and refreshed a mountain village. 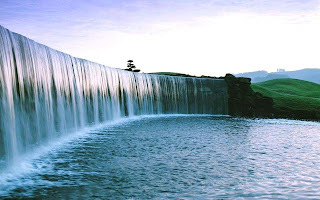 The stream was fed by mountain springs, which were tended by an old man called the Keeper of the Springs. His job was to remove branches, leaves, and other debris from the springs, lest they pollute the stream. One year the village decided to fire the old man and spend their money elsewhere. With no one tending the springs, the water became polluted: “Twigs and branches and worse muddied the liquid flow. Mud and silt compacted the creek bed; farm wastes turned parts of the stream into stagnant bogs.” Though no one noticed at first, eventually the village was affected. Some people got sick. Kids no longer played in the water. Its crisp scent and sparkling beauty were gone. If you love your Bible, if you love the Puritans, and if you love your own soul, then this little book is a banquet awaiting you to come and indulge your spiritual appetite! Brian Hedges has woven together a wonderfully edifying book on a forgotten spiritual discipline – watchfulness. He has created a tapestry rich in Scripture and the masters of the inner life: Owen, Bunyan, Flavel, Boston, M'Cheyne and others. I can well imagine this little volume sitting next to my Bible to be read along with morning devotions or for family worship. May the Lord Jesus use this wonderful little book to help His people become more watchful. In a sea of antinomian easy believism, Watchfulness is a five-alarm fire bell calling us all to work out our salvation with fear, trembling, and effort. It’s about time. In twenty years of ministry, I have not read a single article, let alone book, that deals with the urgent issue of watchfulness. This book is long overdue and desperately needed. 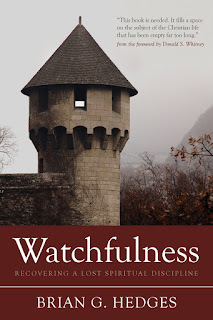 Watchfulness is a book for all types of Christians. Whether you just met Christ yesterday or you’ve been walking with Him for dozens of years, this book is a helpful reminder that we must diligently keep watch over ourselves, and each other. I recommend without hesitation that you pick this up and start implementing it today. Hedges has done the Church a great service with this gem! Channeling the likes of Owen, Bunyan, M’Cheyne, and Calvin, Brian Hedges cares for the Christian’s soul with the expertise of a seasoned pastor and a wise shepherd. He instructs the reader in the needful and often neglected spiritual discipline of watchfulness. If you would enjoy Christ more, safeguard your soul with greater effectiveness, and live the faith-filled life more intentionally, devour these pages. It will do your soul good and sow seeds for a life of devotion to Christ. Many Christians today are unaware of one of the most fundamental spiritual disciplines necessary to advance in the Christian life, namely, watchfulness. By drawing from the vast riches of Scripture and the writings of Puritan divines, Brian Hedges shines a much needed light on this often neglected subject. This book will elevate your pursuit of personal holiness as it brings to the forefront of your mind the eternal benefits of watching over your heart and being alert for your enemy. Doctrine is easier to learn than godliness. Yet true doctrine is according to godliness. Brian Hedges faithfully guides his readers to cultivate godliness through ‘watchfulness’ by answering the questions what, why, how, when, and who. Drawing particularly from the insights of Owen, Bunyan, and M‘Cheyne, he makes the dead speak to us with a fresh voice on a neglected topic for the refreshment of our souls. We need constant reminders to be watchful lest we fall. And when these reminders come clothed in grace and pastoral sensitivity, they are all the more welcome. Brian Hedges has put together a small gem of a book that urges us to greater care and watchfulness. Gospel-driven exhortation and warning to busy Christians. Timely and necessary. In the volume you are holding, [Brian Hedges] has brought together the biblical teaching on watching over our souls and seasoned it with insights from great works by godly men who were both passionate and practical about watchfulness. This book is needed. It fills a space on the subject of the Christian life that has been empty far too long. A. W. Pink, Guarding Your Heart (Pensacola, Fla.: Chapel Library, 2010), 9. John Bunyan, The Holy War (Ross-shire, Scotland: Christian Focus, 1993), 20. Owen, The Nature, Power, Deceit, and Prevalency of the Remainders of Indwelling Sin in Believers, in Works, 6:175. John Ortberg, Soul Keeping: Caring for the Most Important Part of You (Grand Rapids: Zondervan, 2014), 13–14. The first Evangelical Protestant to catalog a list of what we now call spiritual disciplines was Richard Rogers. This list was found in book three of Rogers’ Seven Treatises — and this third book is soon to be republished by Reformation Heritage Books as Holy Helps for a Godly Life. Rogers divided these “helps” into public and private helps for godliness, and among the private helps, he included reading. The reading Rogers prescribed included the reading of both Scripture and other books. Reading has been one of the most significant means of helping me grow as a Christian. It began when I was a child, with my parents’ household rule of reading the Bible daily before watching anything on television. We were expected to read three chapters a day, and four on Sunday. As a result of this regimen, I had read through the entire Bible seven or eight times by the time I left home, and many portions of Scripture (especially Psalms, Proverbs, and many of Paul’s letters) dozens of times. 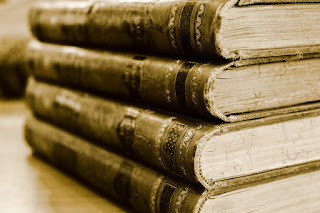 My parents also directed me to other good Christian literature, such as John Bunyan’s Pilgrim’s Progress, E. M. Bounds’ Power through Prayer, and missionary biographies. Having benefited so much from books myself, I’m always glad to find new books to read. (For more on bible reading, see my post 15 Ways to Feed on the Word in the New Year) That’s one reason I enjoy all the book lists that appear at the end of each year. I’ve been providing one of my own for several years, with the hope that others will be helped by some of the same books that have helped me. The following books are my favorites from 2017. Keep in mind, these were not necessarily published in 2017 — in fact, most of them were not. They are simply some of the best books that I read (in whole or in part) last year. The Unquenchable Flame: Discovering the Heart of the Reformation – Michael Reeves. Since 2017 marked the 500th anniversary of the Protestant Reformation, I devoted a lot of my reading to its history and theology. This is probably the best short introduction to the Reformation. 2000 Years of Christ’s Power, Volume 3: Renaissance and Reformation – Nicholas R. Needham. A more detailed study of the church in the sixteenth century. Needham is a great writer and his narrative almost reads like a novel. Though the book is obviously well researched, Needham doesn’t use heavy footnotes; however, each section includes helpful readings from the primary sources. This is a long book, so includes much more than Reeves. Biblical Authority after Babel: Retrieving the Solas in the Spirit of Mere Protestant Christianity – Kevin J. Vanhoozer. A helpful book on how the Reformation solas can help steer the contemporary church toward true unity in the gospel. Theology of the Reformers – Timothy George. 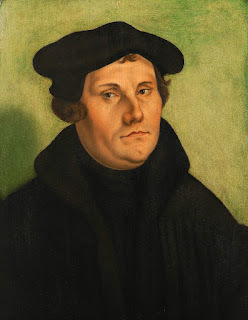 Magnificent study of five key figures from the Protestant Reformation: Martin Luther, Ulrich Zwingli, John Calvin, Menno Simmons, and William Tyndale. 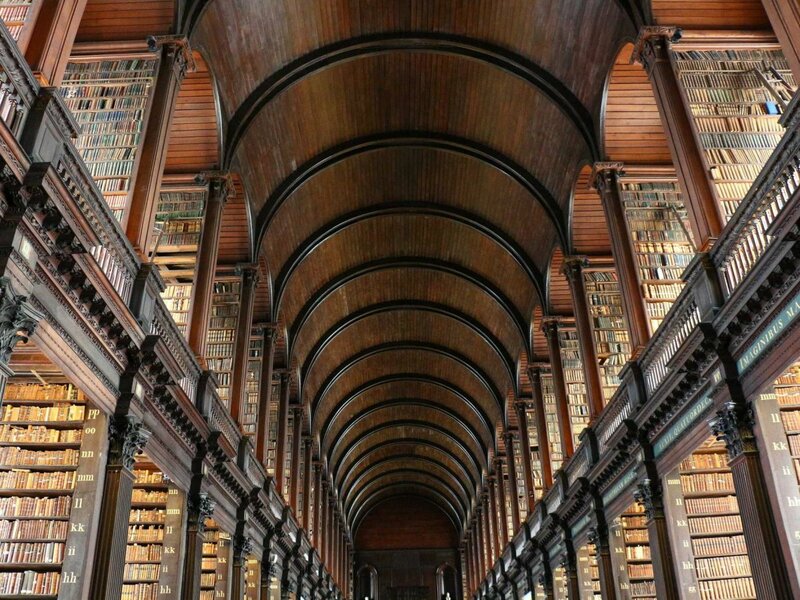 Demonstrating an admirable grasp of both primary sources and secondary literature, Timothy George guides readers into the world of the sixteenth century with profundity, verve, and wit. This book is a tour de force in historical theology and was easily one of the best books I read last year. Highly recommended. Athirst For God: Spiritual Desire in Bernard of Clairvaux's Sermons on the Song of Songs – Michael Casey. A rich study on one of the burning, shining lights in the church between Augustine and Luther. The Story of Christianity – Justo L. González. An excellent survey of church history. If you read it, get the one volume edition, which has additional material not found in the original two volumes. Z for Zachariah – Robert C. O’Brien. This was the best novel I read this year (except for the C. S. Lewis books I re-read!). Much better than the movie. 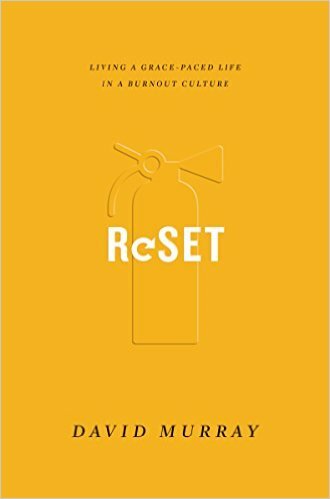 Reset: Living a Grace-Paced Life in a Burnout Culture – David P. Murray. An excellent treatment of the problems men (especially pastors) face in midlife and the need for intentional rest, renewal, and restoration. Murray relates how his own experience of burnout and resulting health problems in his forties led to serious changes in his lifestyle. This book is, in many ways, like Wayne Cordeiro's Leading on Empty (a book Murray seems unaware of, or at least never quotes). In some respects, it is even better. Cordeiro writes as a mainstream evangelical megachurch pastor. While his advice is often good, his theology is sometimes sloppy and his applications out of reach for ordinary people with limited resources. Murray is more grounded, both in theology (writing from a Reformed perspective) and in real life. Murray covers almost all the bases (sleep, recreation, exercise, diet, life purpose, goal setting, time management, personal relationships, and one's relationship to the gracious God of the gospel throughout) and includes lots of helpful statistics, insightful quotes, personal stories, and practical application. I read the book in less than twenty-four hours and will probably read through again more slowly. Highly recommended. The Christian Faith: A Systematic Theology for Pilgrims on the Way – Michael S. Horton. This is now my favorite contemporary systematic theology. Superior to both Grudem and Berkhof, in my opinion. Horton’s treatment of each loci of theology is philosophically-nuanced, historically-aware, and biblically-grounded. With an eye on the drama, discipleship, and doxology of biblical doctrine, Horton presents a vision of Christian theology that is both catholic and Reformed. For the same material in more condensed form, see Horton’s Core Christianity and Pilgrim Theology. Or, to go even deeper, see his four volumes of dogmatics published by Westminster John Knox. The Confessions – Saint Augustine (translated by F. J. Sheed). This was my third time through Augustine’s Confessions, this time with Sheed’s translation. The translation itself is good, although I still prefer Maria Boulding’s translation, but Sheed’s notes and glossary are really good and helped me better understand the structure of Confessions. I read it slowly this time, taking notes on most of the books. Making All Things New: Restoring Joy to the Sexually Broken – David A. Powlison. This is the best book I’ve read for dealing with sexual sin and suffering. Helpful in both diagnosis and cure, this book is short, deep, thorough, convicting, and drenched in grace. Planet Narnia: The Seven Heavens in the Imagination of C.S. Lewis – Michael Ward. Brilliant. I'll never read The Chronicles of Narnia in the same way again. (I also re-read The Silver Chair this year. Easily my second favorite of the Narnian books, after The Lion, the Witch, and the Wardrobe). For a more accessible version of this material, see the author's (poorly titled) The Narnia Code: C. S. Lewis and the Secret of the Seven Heavens. Galatians (Baker Exegetical Commentary on the New Testament) – Douglas J. Moo. I probably read 85% of this excellent commentary. Moo is a theologically informed exegete, with Lutheran-Reformed leanings. While he is sympathetic to the New Perspective on Paul, he is not uncritical, and thus defends a nuanced Lutheran reading of the letter. I found this commentary quite helpful this fall, as I preached through Galatians. I recommend it highly. Who Is Jesus? (Crucial Questions #1) – R. C. Sproul. Sproul, who passed into glory last month, was surely one of the greatest popularizers of the Reformed faith in the twentieth and early twenty-first centuries. I’ve read many of this books over the years, and just read this little booklet last week. I was impressed with both the richness of its content and the quality of Sproul’s writing. 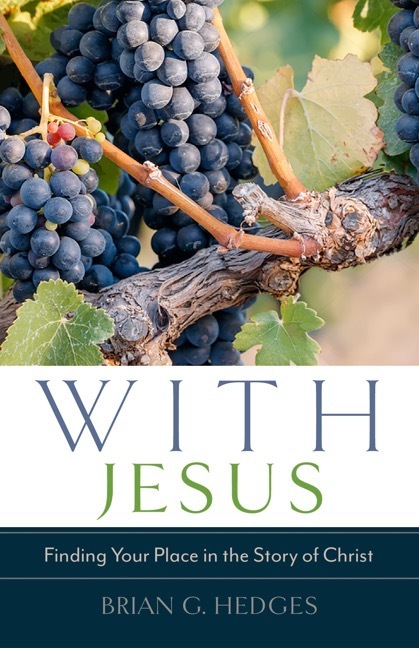 A great booklet to give to an unbelieving friend who is considering the claims of Jesus. The Holy War – John Bunyan. Not quite as good (or readable) as the better known Pilgrim’s Progress, this is still a brilliantly conceived allegory with profound insight into the human heart (Mansoul) and the warfare waged between Christ and Satan for the hearts dominion. As I read, I was wishing that backslidden and apostate Christians I know would read it. Bunyan’s astute observations about the nature of apostasy are frighteningly accurate. No earnest believer should read this without serious soul searching. Some Pastors and Teachers: Reflecting a Biblical Vision of What Every Minister Is Called to Be – Sinclair B. Ferguson. This 800-page book just came out a couple of weeks ago, but I’ve already read about half of it. Collecting many of Ferguson’s essays, chapters, and forewords into one volume, this book is worth its weight in gold. Though it is occasionally repetitive, with the same quotes and anecdotes showing up in more than one place, Ferguson’s reflections on the “three Johns” (Calvin, Owen, and Murray), the pastoral theology of the Puritans, and other topics related to preaching and pastoral work is a treasure trove of wisdom. "The third incomparable benefit of faith is that it unites the soul with Christ as a bride is united with her bridegroom. By this mystery, as the Apostle teaches, Christ and the soul become one flesh (Eph. 5:31–32). And if they are one flesh and there is between them a true marriage— indeed the most perfect of all marriages, since human marriages are but poor examples of this one true marriage—it follows that everything they have they hold in common, the good as well as the evil. Accordingly the believing soul can boast of and glory in whatever Christ has as though it were its own, and whatever the soul has Christ claims as his own. Let us compare these and we shall see inestimable benefits. Christ is full of grace, life, and salvation. The soul is full of sins, death, and damnation. Now let faith come between them and sins, death, and damnation will be Christ’s, while grace, life, and salvation will be the soul’s; for if Christ is a bridegroom, he must take upon himself the things which are his bride’s and bestow upon her the things that are his . . . Here we have a most pleasing vision not only of communion but of a blessed struggle and victory and salvation and redemption. Christ is God and man in one person. He has neither sinned nor died, and is not condemned, and he cannot sin, die, or be condemned; his righteousness, life, and salvation are unconquerable, eternal, omnipotent. By the wedding ring of faith he shares in the sins, death, and pains of hell which are his bride’s. As a matter of fact, he makes them his own and acts as if they were his own and as if he himself had sinned; he suffered, died, and descended into hell that he might overcome them all. Now since it was such a one who did all this, and death and hell could not swallow him up, these were necessarily swallowed up by him in a mighty duel; for his righteousness is greater than the sins of all men, his life stronger than death, his salvation more invincible than hell. Thus the believing soul by means of the pledge of its faith is free in Christ, its bridegroom, free from all sins, secure against death and hell, and is endowed with the eternal righteousness, life, and salvation of Christ its bridegroom." 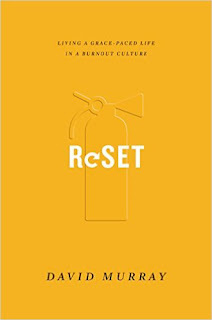 Reset: Living a Grace-Paced Life in a Burnout Culture by David Murray is an excellent treatment of the problems men (especially pastors) face in midlife and the need for intentional rest, renewal, and restoration. Murray relates how his own experience of burnout and resulting health problems in his forties led to serious changes in his lifestyle. This book is, in many ways, like Wayne Cordeiro's Leading on Empty (a book Murray seems unaware of, or at least never quotes). In some respects, it is even better. Cordeiro writes as a mainstream evangelical megachurch pastor. While his advice is often good, his theology is sometimes sloppy and his applications out of reach for ordinary people with limited resources. Murray is more grounded, both in theology (writing from a Reformed perspective) and in real life. Murray covers almost all the bases (sleep, recreation, exercise, diet, life purpose, goal setting, time management, personal relationships, and one's relationship to the gracious God of the gospel throughout) and includes lots of helpful statistics, insightful quotes, personal stories, and practical application. I read the book in less than twenty-four hours and will probably read through again more slowly. 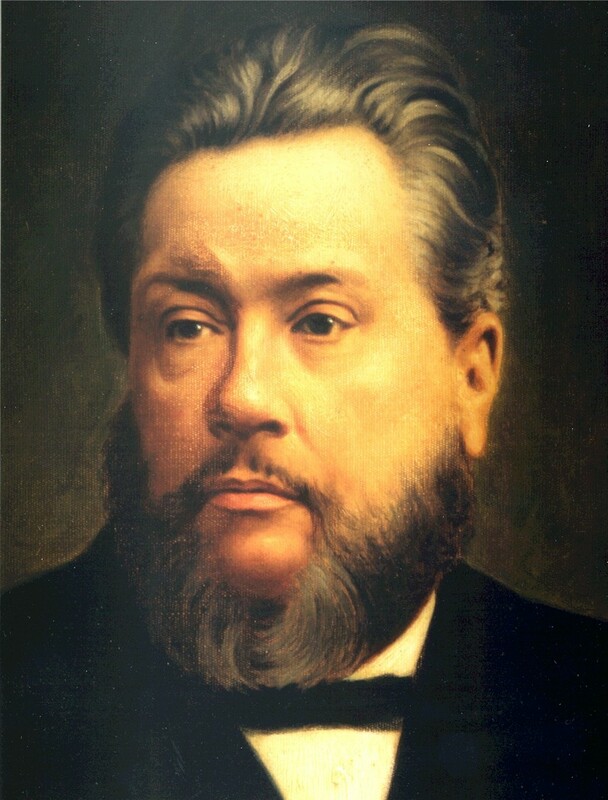 One of my heroes is Charles Haddon Spurgeon, the famous Baptist pastor of nineteenth century London. In reading Spurgeon, I am convinced that one of the secrets behind the extraordinary fruitfulness of his ministry and the enduring legacy of his sermons was his relentless focus on the person and work of Christ. 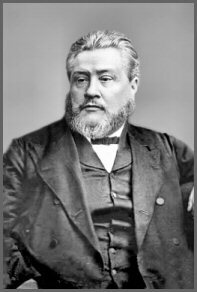 Spurgeon was Christ-centered in his preaching and taught his students to be the same. 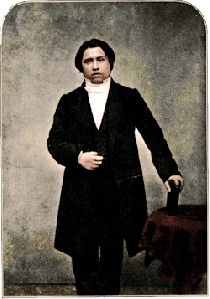 Spurgeon’s Christ-centeredness also impacted the way he evangelized and taught people to seek salvation. C. H. Spurgeon, in a sermon entitled “The First Sermon in the Tabernacle” in The Metropolitan Tabernacle Pulpit, vol. 7 (Pasadena: Pilgrim Publications, 1977 reprint) p. 169. C. H. Spurgeon, in a sermon entitled “Christ Precious to Believers” in The New Park Street Pulpit, vol. 5 (Grand Rapids: Baker Book House, 1994 reprint). C. H. Spurgeon, in a sermon entitled “Great Forgiveness for Great Sin” in The Metropolitan Tabernacle Pulpit, vol. 49 (Pasadena: Pilgrim Publications, 1977 reprint), p. 613. I’m grateful to have discovered several of these quotations in an article by Mark Minnick entitled “First Partaker” available online at: http://www.f-b-f.org/WebMan/Article.asp?ID=4079&Count=true. C. H. Spurgeon, in a sermon entitled “A Great Sermon by the Greatest Preacher” in The Metropolitan Tabernacle Pulpit, vol. 41 (Pasadena: Pilgrim Publications, 1977 reprint) p. 187. C. H. Spurgeon, in a sermon entitled “The Love of Jesus, What It Is None but His Loved Ones Know” in The Metropolitan Tabernacle Pulpit, vol. 8 (Pasadena: Pilgrim Publications, 1977 reprint) p. 339. Quoted in Iain H. Murray, Spurgeon v. Hyper-calvinism: The Battle for Gospel Preaching (Edinburgh: Banner of Truth Trust, 1995), p. 122. 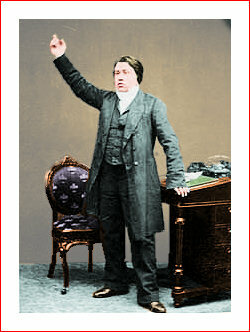 C. H. Spurgeon, in a sermon entitled “The First Sermon in the Tabernacle” in The Metropolitan Tabernacle Pulpit, vol. 7 (Pasadena: Pilgrim Publications, 1977 reprint) p. 169. Quoted in Lewis Drummond, Spurgeon: Prince of Preachers (Grand Rapids, MI: Kregel Publications, 1992) p. 291. C. H. Spurgeon in a sermon entitled “The Comer’s Conflict with Satan” in The New Park Street Pulpit, vol. 1 (Grand Rapids: Baker Book House, 1994 reprint). C. H. Spurgeon, in a sermon entitled “Alpha and Omega” in The Metropolitan Tabernacle Pulpit, vol. 9 (Pasadena: Pilgrim Publications, 1977 reprint) p. 720. C. H. Spurgeon, in a sermon entitled “Our Manifesto,” in The Metropolitan Tabernacle Pulpit, vol. 37 (Pasadena: Pilgrim Publications, 1977 reprint). C. H. Spurgeon, in a sermon entitled “An Exciting Inquiry” in The Metropolitan Tabernacle Pulpit, vol. 54 (Pasadena: Pilgrim Publications, 1977 reprint) p. 149. What does it mean to say that Christ is sufficient, and why does it matter? It means that Christ in all of his fullness really is everything we need. And it matters because without him we can do nothing. To say that Christ is sufficient is to say that there is nothing else in addition to Jesus that we need for salvation, life, satisfaction, or fullness. There are no bonuses or extras. There is no gold membership to be attained only by any elite few. If Christ really is sufficient, then Christianity can do without the extra “-isms”: legalism, mysticism, gnosticism, asceticism, monasticism, sacerdotalism, and so on. If Jesus is all that you need, then you don't need anything else. That's right. Nada, nothing, zilch. We can go even further. The claim that Christ is sufficient means not only that we need no additions to Jesus, but also that any such additions are actually subtractions. To try to add something to Jesus is to diminish what he has already done. If you say that you need Jesus plus angels, or Jesus plus the law, or Jesus plus moral achievement, or Jesus plus a second work of grace, or Jesus plus anything else – then you take something away from Jesus. To say that Christ is sufficient is to say that the God and Father of our Lord Jesus Christ has already blessed us with every spiritual blessing in the heavenly places, in Christ. To say that Christ is sufficient is to say that God has already given us everything we need for life and godliness through his own Son. 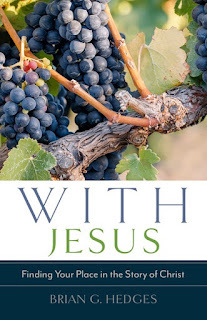 To say that Christ is sufficient is to say that the only thing the branch needs in order to bear fruit is to be vitally connected to the vine. But the declaration the Christ is sufficient should not make us complacent. We need to be careful to not draw the wrong conclusion or make the wrong application. The completeness of Christ's work does not mean that we have no needs. It means that all of the needs we have are met in Christ. It means that we desperately need Christ! We need Christ in all of his fullness. We need not half a Jesus, but the whole Jesus. We need the intoxicating one-hundred-proof Jesus, not the safe, bland, non-alcoholic watered-down version. We need the authentic Jesus in all of his humble humanity and terrifying deity. We need Christ in his meekness and majesty, his suffering and glory, his crucifixion and resurrection, his incarnation and ascension, first coming and his second. Jesus is 100% of what we need. And we need 100% of Jesus. We need Jesus in his redeeming, liberating grace. We need his forgiveness for our sins, his cleansing for our consciences, and his power for our obedience. We need Jesus in his supremacy over all earthly and unearthly powers, whether those powers are angels, principalities, and powers in the heavenly realms, or Caesars, senators, and presidents in the kingdoms of men. We need Jesus as the perfect portrait of the invisible God, Jesus as the true imago Dei, Jesus as the new and better Adam, and Jesus as the greater son of David who in the strength of weakness sets his people free from the monsters of sin and death. We need Jesus as justifier and sanctifier. We need Jesus as the Savior and Lord of the church, the husband of the bride, and the head of the body. We need him as Lion of the tribe of Judah and as the Lamb that was slain from the foundation of the world. We need him as prophet, priest, and king. We need him as bread of life and fountain of living waters. We need him as the door to walk through, the way to walk on, and the goal to which we walk, the prize for which we run, and the Captain for whom we fight. We need Jesus as Alpha and Omega, beginning and end, first and last. Furthermore, we need Jesus in all of life. We need Jesus informing our minds and we need Jesus forming our hearts. We need Jesus in the closet, the bedroom, dining room, the playroom, the boardroom, and on the street. We need Jesus when we play, when we worship, when we work, and when we pray. We need Jesus in our churches, our classrooms, and our homes. We need Jesus in and through all the vicissitudes of life. We need Jesus to remove the burden of sin at Calvary and to strengthen us for the long pilgrimage to the Celestial City. We need him to walk with us through the Valley of Humiliation. We need him to help us make the hard climb up Hill Difficulty. We need him to pull us from the Slough of Despond and to rescue us from Doubting Castle. We need Jesus for singleness, marriage, parenting, empty-nesting, and grandparenting. We need him college and career, at home and abroad, in our waking and in our sleeping, in our living and in our dying. We need Jesus. In all that we are, we need all that he is. Our need is great. But his sufficiency is greater. The whole Bible proclaims the sufficiency of Christ. The Bible is about the Father’s plan to redeem his people and restore the world through the all-sufficient work of his Son through the power of his life-giving Spirit. If the whole of Scripture is a symphony, this is its melodic theme. This is nowhere more evident than in Paul’s letter to the Colossians. I wrote a little book on Colossians called Christ All Sufficient. You don’t need to read my book. You need Christ. You need the word of Christ to dwell richly in your heart, and Colossians is part of that word. So you need Colossians. If you would like to grow in your understanding of Colossians (and thus grow in your understanding of Christ’s glorious sufficiency), then perhaps my book will help. But you don’t need another book, seminar, or lecture. You need Christ himself. This post was originally written for The Blazing Center.